At the Redress Indie Plus show I saw a voluptuous model sashay down the runway in Etsy designer Cupcake and Cuddlebunny’s Lollipop dress. 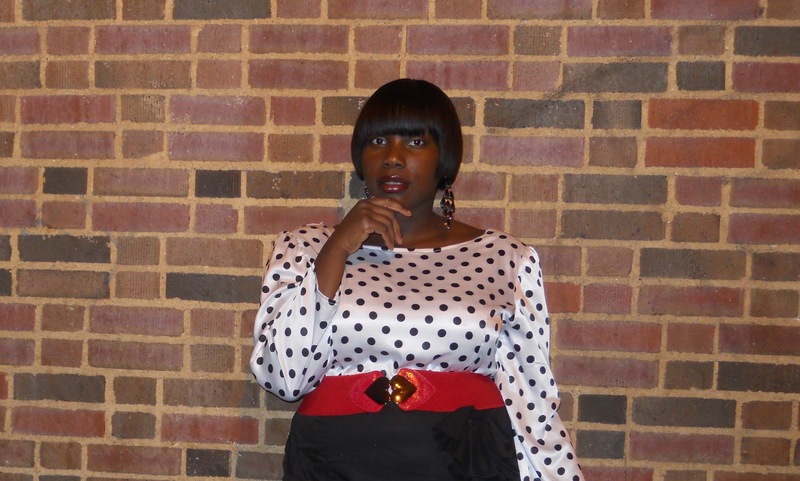 A black and white polka dot dress that made me say, “I need that in my life.” It was love at first sight. I just loved the classic yet modern look of this dress. 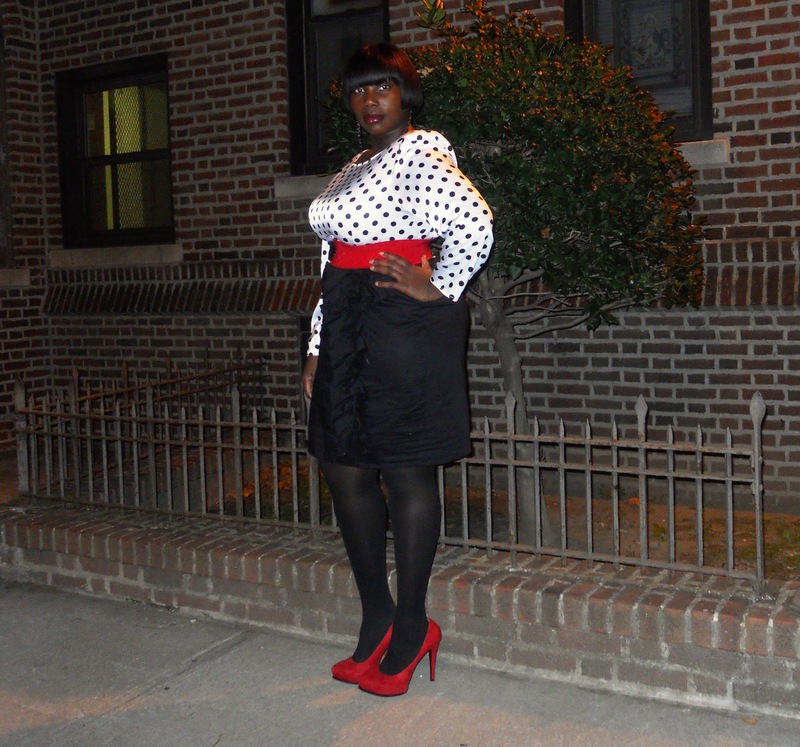 I’m a sucker for polka dots and of course anything with ruffles. I couldn’t wait until the next day to purchase the dress at the trunk show. As my luck would have it, I was unable to get to the Redress store the weekend of the trunk show and I didn’t have anytime during the week to stop by the boutique to get it. I figured the dress would be gone by the following week. This past weekend, I stopped by Redress just to look around and behold there was the Lollipop dress. It was only one left. I said to myself, “It’s probably not going to be my size.” I leaned into the rack to check what size it was. I could not believe it! The dress was my size. It must have been waiting for me. I immediately went to the fitting room to try it on and I loved how it looked. All it needed was minor alterations for a perfect fit because the top of the dress was too loose. I loved the cotton bow ruffles on the bottom of the dress and the soft satin top. The dress had such a retro yet sophisticated feel. The only thing that I did not like about the dress was that it looked good on, but, once I started inspecting the construction of the dress I wasn’t as pleased. The stitching was a little shabby due to a few loose threads, the material was very lightweight, almost paper thin. I think the designer could have bumped up the level of quality. Nevertheless, I still liked how the dress looked and fit. I will be wearing it to upcoming holiday cocktail parties. I added the red belt and red shoes for pops of color. I could easily swap out the reds for blues if I wanted to change up the dress. I think the Cupcake and CuddleBunny line shows a lot of promise with their retro animated girlie style. While some items were a little too costumey for me, there were a few other pieces like the french silk dress that had flair. You can checkout Cupcake and Cuddlebunny on Etsy.com and they still have the Lollipop dress.